One of the prototypes we’ve been working on for a while now can finally be revealed! 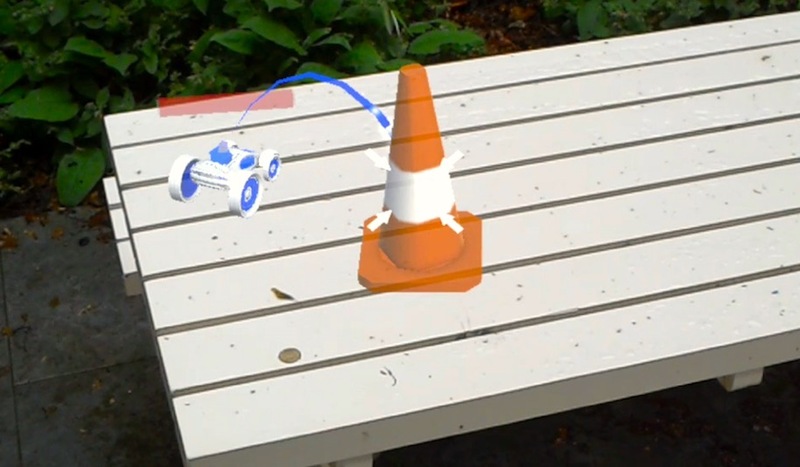 We developed the Buggy Blasters concept on request by our parent company Cronos Groep, who gave us carte blanche to come up with an interesting case for the HoloLens. 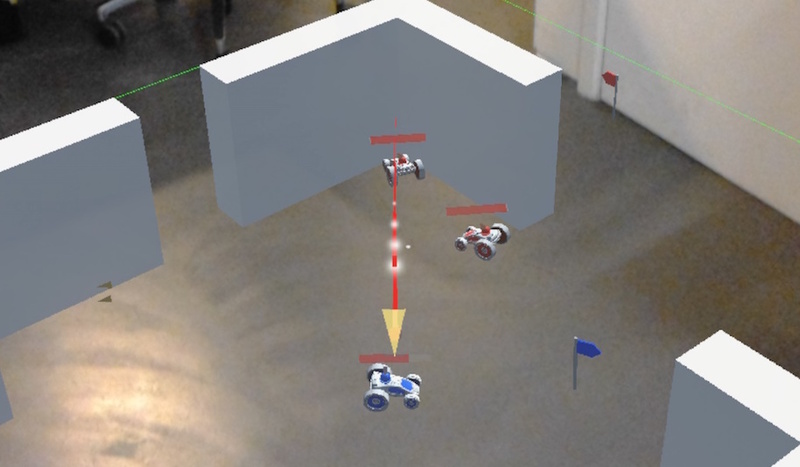 In Buggy Blasters, players battle each other with remote-controlled buggies in the first online multiplayer game on HoloLens! Control your squad of buggies to capture the enemy flag, but be sure to retreat in time to heal. 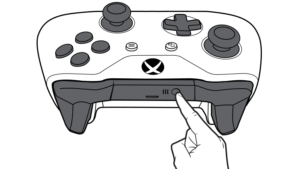 Use that one muscular Air tap trained finger or an Xbox One S controller, whichever you prefer. Employ crazy tactical skills, lightning speed and efficient buggy management to crush your opponent, who’ll give you that ‘sad Robocop’ look. No friends with HoloLenses? That’s all right, because there’s a sandbox-style single player mode to lazily drive around in and practice target shooting. Buggy Blasters is available for download on the Microsoft Store. Alternatively, it can be downloaded and installed manually (download here, and installation using these instructions). Make sure Buggy Blasters is not running. 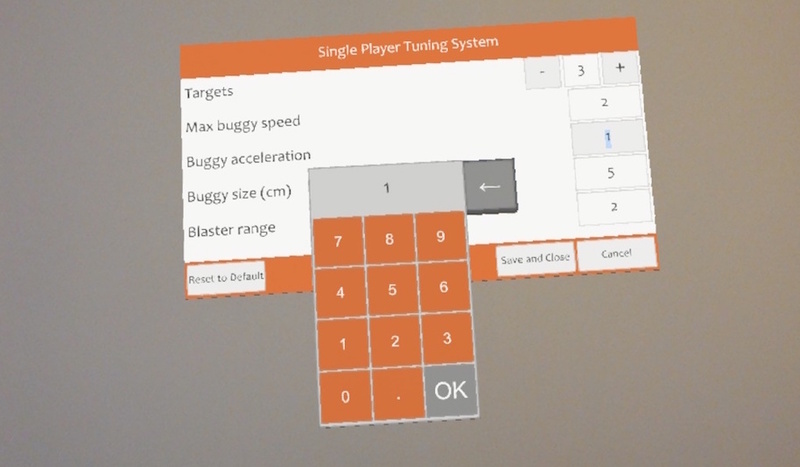 Shut down every instance of the app by removing all Buggy Blasters windows in the HoloLens main menu. 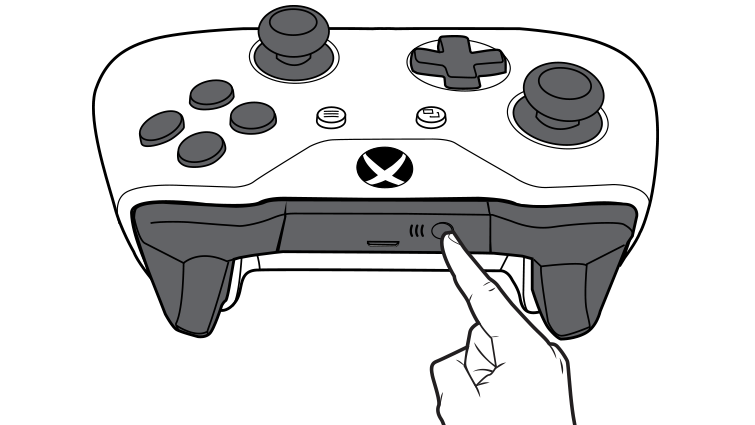 Turn on the Xbox One S controller and press the Bluetooth pairing button (see below) until the Xbox logo on the controller starts blinking quickly. 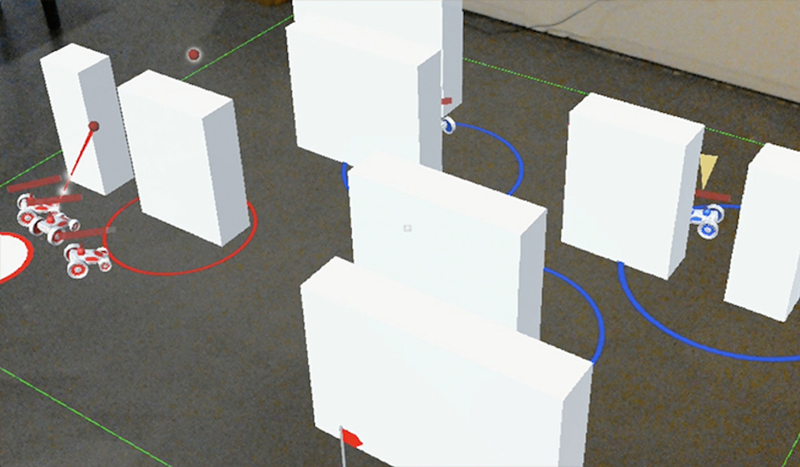 The controller will come up on the HoloLens’s devices list. Select ‘Pair’. 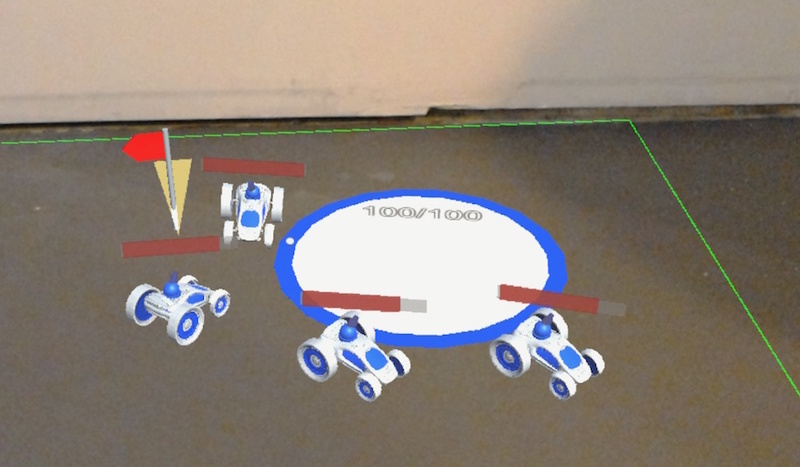 Note that if you connected a paired controller to another device after playing, you will need to remove the controller from the HoloLens device list and re-pair it to use it again for Buggy Blasters. In single player mode, you can destroy targets and play around with a buggy. 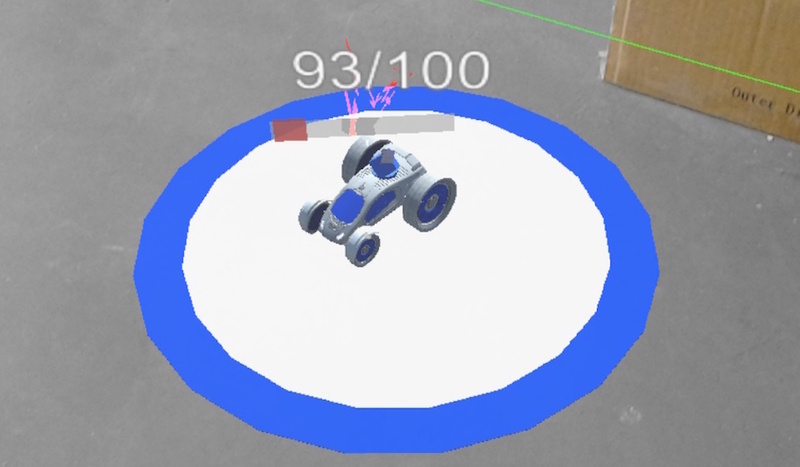 Using the “Tune Settings” button, you can customize things such as the speed and size of your buggy, or the number of targets in the game. 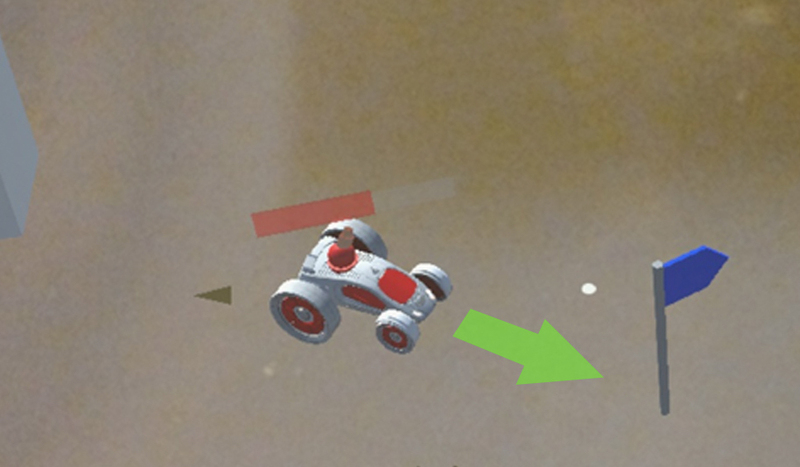 Use [air tap] to move the buggy to your gaze cursor (the small white circle). 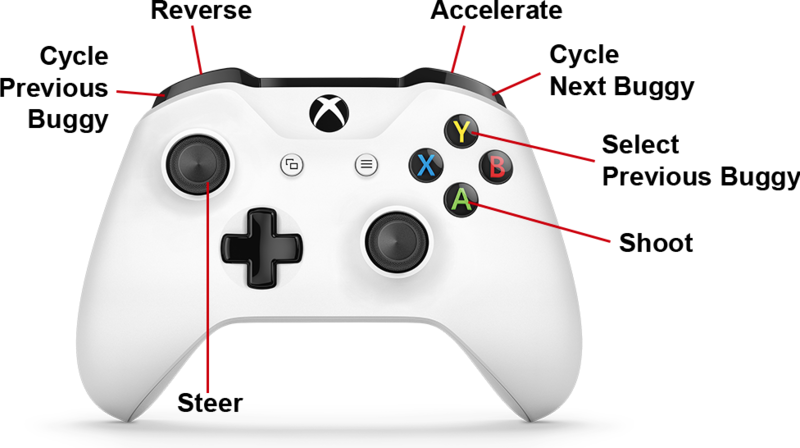 Alternatively, use the Xbox One S controller to move it! You can target practice in single player! 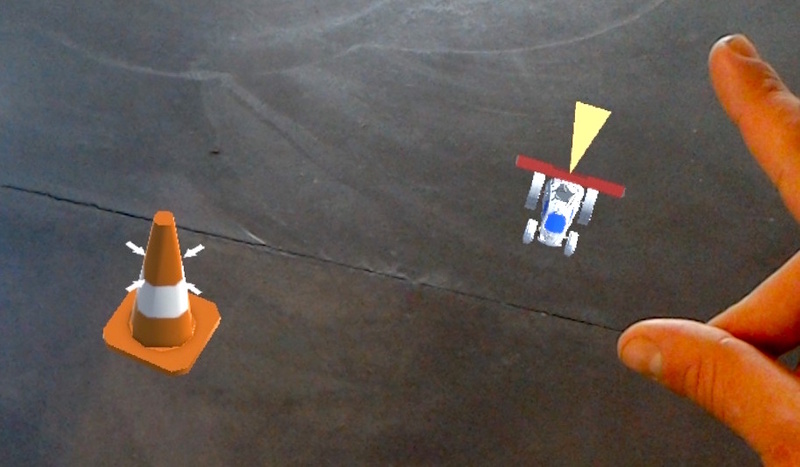 Look at a cone and [air tap] to make the buggy shoot it. 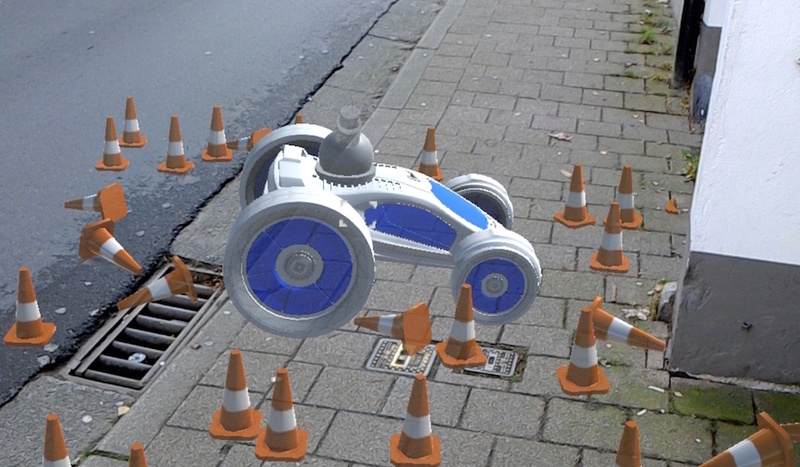 If the cone is hit, it will reappear elsewhere. The simply won’t be defeated! 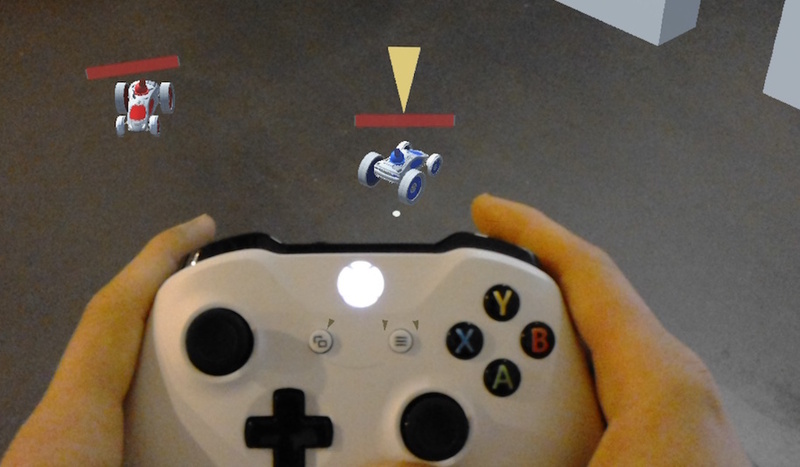 Using an Xbox One S controller, you can shoot where your gaze is by pressing the A button. In multiplayer, you can play a capture the flag-style battle online against a friend. Capture the enemy flag and bring it back to your base to score! For every flag scored, the enemy base’s HP decreases. Meanwhile, you need to defend your own flag as well. Don’t feel like tapping? 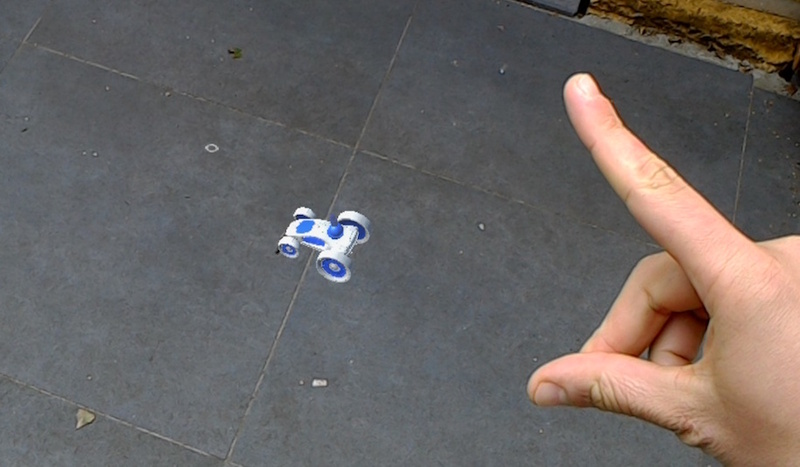 You can also control your buggies with an Xbox S controller. Shoot where your gaze is by pressing the A button! 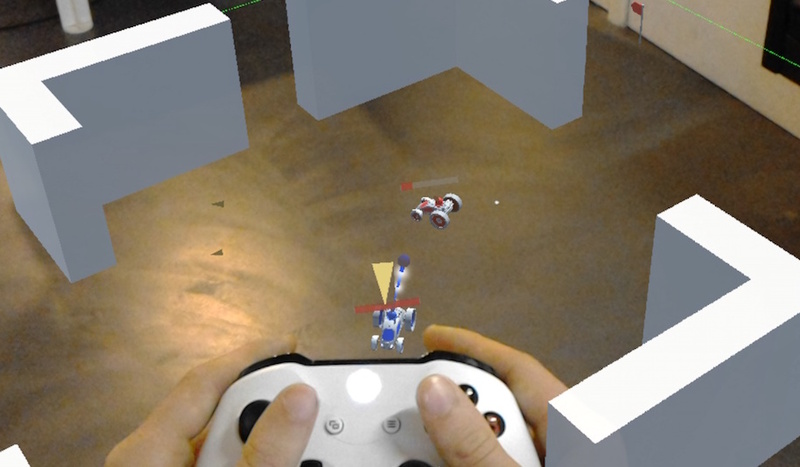 The controller can also be used to quickly switch between buggies. A buggy carrying the flag cannot shoot. If it’s destroyed, it will drop the flag. Drive over a dropped enemy flag to pick it up! 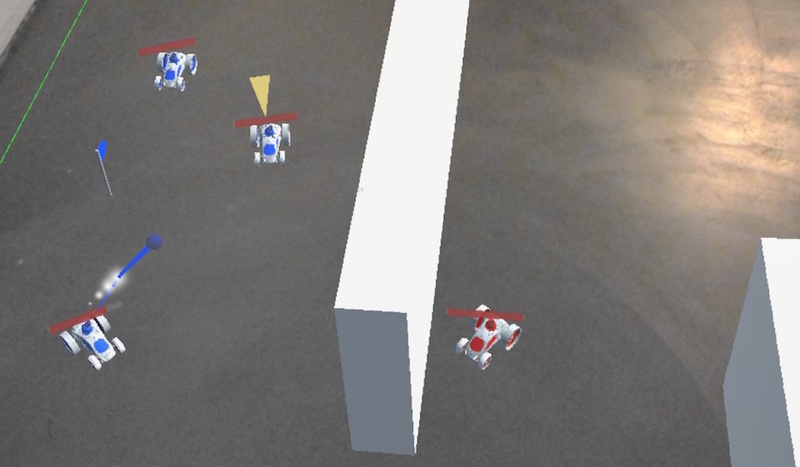 Drive over your own flag to send it back to its original location. If a buggy is destroyed, it will take a while for it to respawn. You can heal a buggy by driving it onto your base. If the HP of the enemy base is fully depleted, you win. 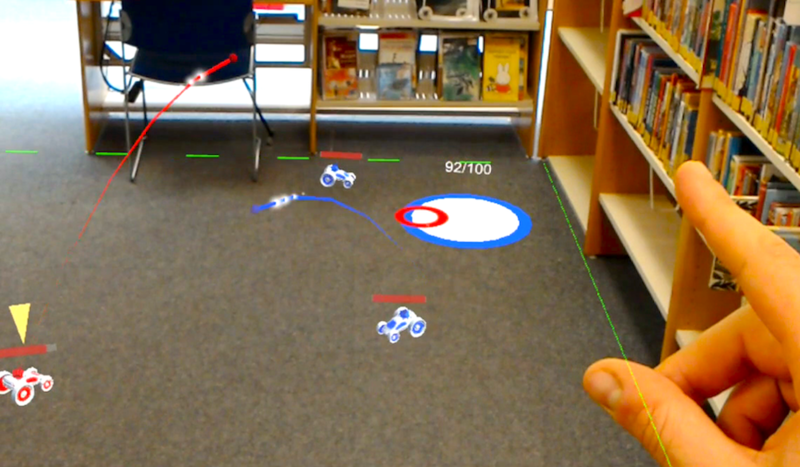 You can play this game at any Wifi-enabled location with at least an open space of 2m x 2m (6.5 ft x 6.5 ft).